8 days | From 5760RMB/pers. 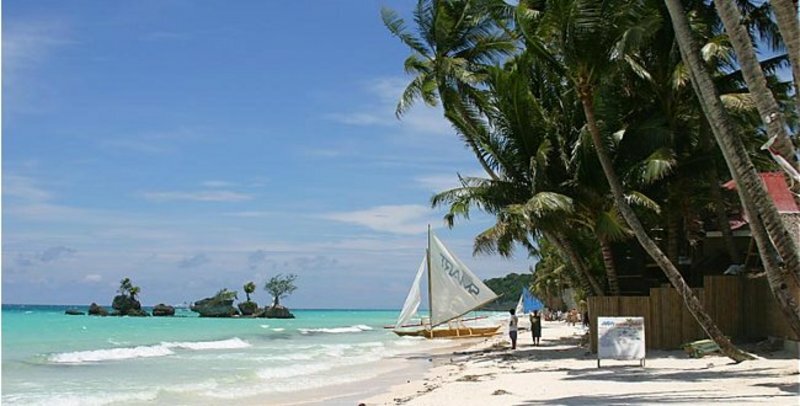 Boracay is known for having one of the world's best beach, with white powder sand and clear blue sea. 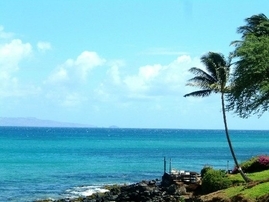 You can participate in countless activities, such as water sports, golf and go from an island to the other. You can also just relax yourself, once at the beach. Fly with Philippines Airlines from Beijing at 12:55 pm and arrive in Manila at 05:45 pm. Arrive at Orchid Garden Suites in Manila, ideally located in the center of Manila 's business, cultural, and entertainment district, and also only 20 minutes away from the international and domestic airport. Spend the night in a Standard Room. Fly to Kalibo at 07:00 am, then take a 1 ½ to 2 hour trip by air-conditioned buses to Caticlan. Then take a ferry to Boracay resort. Stay at Best Western Boracay Tropics Resort. It is a tropical oasis blending of Mediterranean and Asian architecture.It is just a step away from the renowed White Beach. Most of the guest rooms have balconies overlooking the giant bean shaped pool and the lush garden. On day 7, go back to Manila at 18:05 pm and spend the night at Orchid Garden Suites 3*. Fly with Philippines Airlines from Manila at 07:20 am and arrive in Beijing at 11:55 am. For stopover in Manila, extra night charge. Minimum 2 nights / Maximum 7 nights stay. Upon arrival in Manila all transportation went very well to and from the hotel. Figured out which bus to take from the Kalibo airport, a long ride as I told you and highly recommend flying into the other airport. At the dock we were met and escorted by John who took good care of us. The Boracay Best Western is set back from the beach by a short walk and is located in the middle of the beach at Boat Station 2. It didn't appear very new but looked like it had a newer section towards the back. I would say it's rooms were on parr with a 3 star hotel, they were neat, clean and well kept. The service was excellent. The staff were friendly, polite, helpful and professional from the front desk, dinning room, housekeeping, grounds people to the armed guard working the front door. A side note we were a bit taken aback by the strong presence of armed police and security. They are all over Boracay. The good news is we never saw any altercations or disturbances. 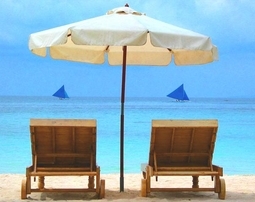 If you want a little more feed back about Boracay and the various beaches etc let me know. In general I would say it is more geared towards the younger "party" crowd but there is a beach, activities and accommodations for every age and budget.